Yemen’s southern areas—which are controlled by the Saudi-led coalition, backed by the US,—have been the scene of a security breach and protests against the coalition. 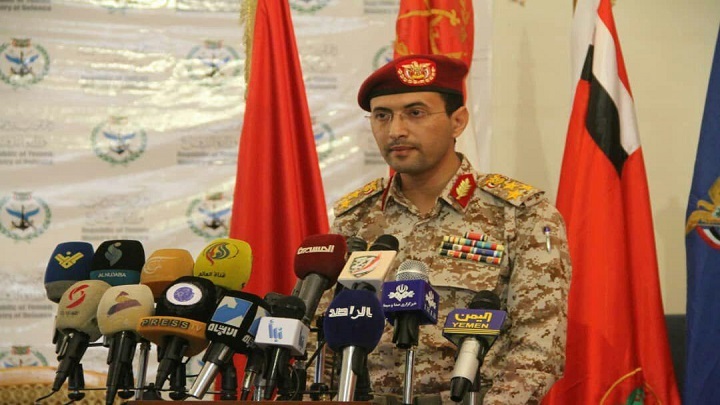 The Yemeni army’s spokesman Brigadier General Yahya Sarie confirmed that “the army and popular committees did not carried out any military operations in the province of Hadramaut during the past few hours.”These remarks are contrary to what was claimed by the coalition led by Saudi Arabia and the United Arab Emirates that Hadramaut province was exposed to alleged attack. “The aim of the enemy fabrications, as the Yemeni people know, especially the people of Hadramout, is the occupation,” the spokesman said. Sayoun city of Hadramout province on Thursday witnessed a civil disobedience in protest against the presence of the coalition forces along with forces of the exiled Yemeni presideny ,Hadi, which stormed the city early in last week. “Those forces have entered the city under the pretext of securing the meeting of parliamentarians loyal to Hadi’s government and Saudi-led coalition,” residents told YemenExtra, while the residents expressed their rejection of the existence of those forces in the city. On Wednesday, hundreds of citizens in Sayoun city and several districts of Hadramaut valley staged a large march, in which they expressed their full rejection of the coalition presence under the cover of Hadi and his government. Yemenis also took to the streets of the southern provinces of Hadarmaut and Aden, voicing anger at the worsening economic situation in Yemen, including rising prices and the collapse of the national currency. Hundreds of women , for their part, rallied to protest against resigned Hadi’ government, condemning the raising up of food supply prices and deterioration of currency in the southern provinces. The Supreme Political Council (SPC) on Wednesday considered the meeting of several Yemeni parliamentarians, who reside in abroad and support the coalition against Yemen, in Sayoun city under protection of the coalition forces, as high treason.,directing the competent authorities to take necessary legal and constitutional measures, especially Article 125 of the Penal Code, against everyone who is proved to be involved in the meeting in any way. Large formations of the coalition forces with various military vehicles and weapons entered from the border Al-Wadia’h crossing heading to Sayoun city of Hadramaut. Southern rights activists as well as said that the big explosion that targeted Saudi military reinforcements heading to Hadramout province was an intentional action by militia of Islah Party (Muslim Brotherhood), loyal to the coalition. Prime Minister Dr. Abdulaziz bin Habtoor discussed with the United Nations Resident Representative and Humanitarian Coordinator in Yemen Lise Grande a number of humanitarian issues. The meeting dealt with the medical air bridge to transport patients whose medical conditions require travel abroad for treatment and the proposed alternatives to alleviate their suffering as they travel from Sanaa to Aden and Sayoun airports. Last year, All flights at Sayoun International Airport in Yemen’s eastern province of Hadramout were suspended and halted , leaving passengers, especially patients, stranded or scrambling for other options, according to local sources. Notably, Yemeni detainees and the forcibly disappeared in the central person which runs by the coalition declared a hunger strike until all their demands were met. Amnesty International says the United Arab Emirates (UAE) — a key partner of Saudi Arabia in a military war against and partial occupation of Yemen — and its paid fighters have been torturing captives at a network of clandestine prisons in southern Yemen. The UK-based rights group further revealed in a statement that large numbers of Yemeni men had been subjected to enforced disappearance after being arbitrarily arrested by the coalition forces. Amnesty , in addition, said in its statement that through an investigation it had conducted between March 2016 and May 2018 in the southern provinces of Aden, Lahij, Abyan, Shabwah, and Hadhramaut, it had managed to document the widespread use of torture and other forms of ill treatment in the coalition facilities, including beatings, the use of electric shockers, and sexual violence.